We are a team of Sasquatch field researchers that is dedicated to the research and discovery of one of the most well known illusive creatures of global infamy. Our team will pursue sightings, leads, encounters and areas of interest here in New York State along with our neighboring states. Our mission is to collect data to show that it is possible that this creature does roam the forest of the northeast and to share that data with you all so you can come up with your own personal conclusion. You can see our team at work on the TV shows, Sasquatch Planet on National Geographic channel and on History channels, "Americas book of secrets, Bigfoot episode"
With the use of Technology we try to collect the best possible data and the clearest Audio/Video possible to share with the public! We find these very strange and random Tree bends at possibly active locations. This bend was found at one of our Upstate NY Research locations. The interesting facts about these is that the end of the branch is dug into the ground and held down by something that is placed there to hold it down. We still don't know what these structures mean, but 2 theories are territory markers and or directional path markers. The 2 above print pictures were found during the winter, 2019 in the ADKs. These are to separate tracks that were found right near each other along a frozen stream bed. The first print you can clearly see the toes embedded in the snow. This track was walked through by a person as you can see a boot print going sideway through the print itself. The Second print was found near the other on and was just fully embedded in the snow. This sound was captured by a static recorder ( A recorder that is left by itself far away from the camp ) while conducting Field research of possible bigfoot activity in the ADK's. You can hear what sounds like 2 rocks being hit together (Rock Clacking). Reports of this activity has been noted by multiple researchers out in the field. No investigators were near this recorder at the time of the capture. 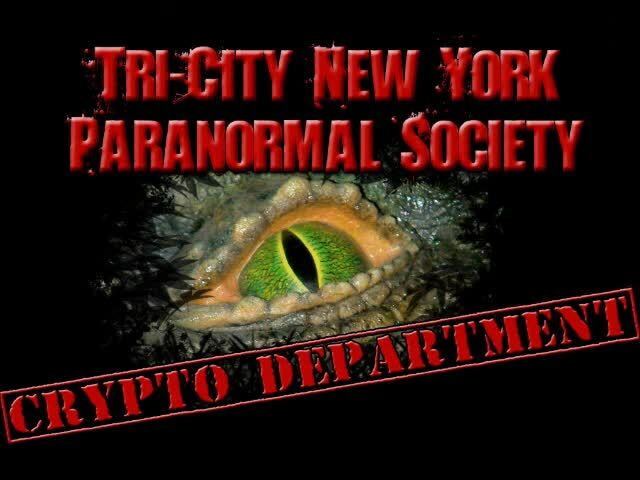 New York Bigfoot Society Radio!!! The first podcast show from the New York Bigfoot Society. We will talk about all subjects Bigfoot in nature along with outdoors and nature based things. We will talk about evidence, sightings, witness reports, methods used, equipment and monster related topics! Good first day of November footer nation! EVP ( electronic voice phenomena ) of a person "that wasn't at all there" talking to us as we were hiking back down the mountain. We will work on getting the best clip up soon! As always friends, keep it squatchy!! Data ,Video ,Audio from our findings coming soon!! !